Jewish Spiderman will be at Aqua later this week! 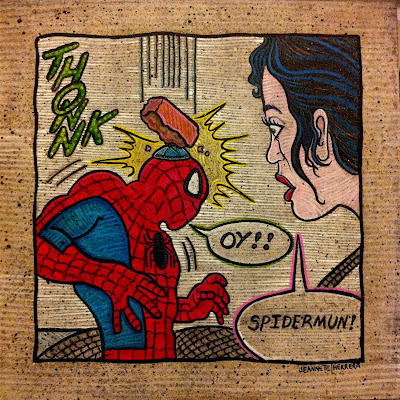 This is "Look Out Spidermun!" a new acrylic on board by the highly talented and intelligent DMV area artist Jeannette Lilith Herrera. 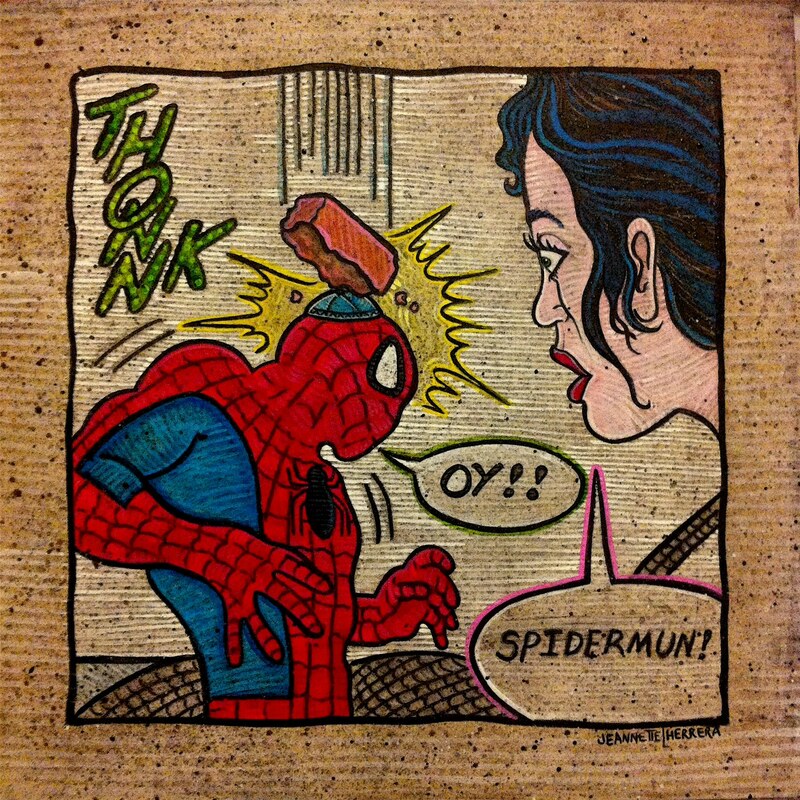 This piece and several others from her work on superheros will be part of the "Superheros and Super Villains" exhibition at Aqua Art Fair in Miami Beach next week - room 116!